Look at that face. That's the face of a life well lived; that's the face of a guy who needs his life story told. That's the face of a guy who has bedded plenty like you, Kolber, you ain't nothin'. And that's a face that needs to be played by Jake Gyllenhaal. Now it seems Paramount Pictures wants to put Joe Namath's colorful - and not always jolly - life onscreen. Jake Gyllenhaal is first choice to play Joe. If you ever saw Jake as the Marine in Jarhead, you know he can bulk up impressively. He can look like a star quarterback. And, he is a terrific actor. 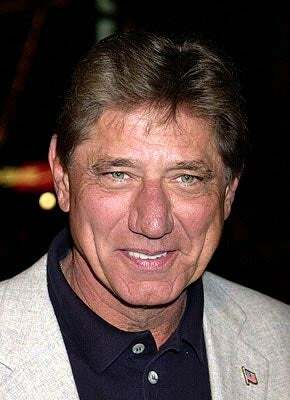 We think a movie about Joe Namath would be rather entertaining. But, really ... could it possibly more entertaining than this? God. It never gets old.